On Sunday night, March 30th, the Sequoyah County Sheriff's Department responded to Mercy Hospital in Fort Smith, Arkansas in reference to a 7 month old girl with 2nd degree burns on the face and scalp. The incident occurred at the mother's residence in Moffett, Oklahoma. The child was life flighted to the children's burn unit in Little Rock. The Sequoyah County Sheriff's Department interviewed Morgan Crow the mother of the 7 month old child during which Crow stated the injuries had occurred on Saturday night. Crow also stated that she did not seek medical attention for the child until Sunday night. After her interview with authorities Crow was arrested for not seeking medical help for the child which resulted in her arrest for failure to protect. According to the Sheriff's Department they are currently trying to locate the boyfriend who was watching the child prior to the mother coming home on the night of the incident. Sequoyah County Sheriff Ron Lockhart announced Tuesday that a county jail detention officer resigned. Lockhart said his department conducted an internal investigation in reference to the arrest of jailer Amy Beth Minor. 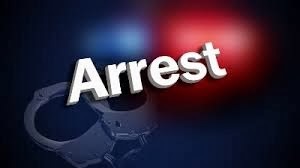 Minor was arrested for assault and battery on Saturday by Sallisaw police. The victim said Minor hit her on the head with a half-gallon whiskey bottle. Minor told police she hit the victim in self defense. The US House Ethics Committee said Monday that a review of allegations made about U.S. Rep. Markwayne Mullin, Republican representing the 2nd District, will be extended. One of the allegations is that Mullin received more than $600,000 from companies associated with his family business, Mullin Plumbing. House rules limit outside earnings to $26,955. Mullin, in a statement released Monday, said he has complied with all House ethics rules regarding his family business. He also questioned the rule that a member of Congress has to sever ties to outside business interests. The litigation over Sequoyah Fuels taxes covers 1995 to 2011, because the company said the land, buildings and equipment were contaminated and not worth the evaluation. The county disagreed, and while the two sides argued, Sequoyah Fuels deposited taxes in an escrow account with the county. In 2008 the Nuclear Regulatory Commission, which oversees nuclear facilities, approved Sequoyah Fuels’ closing plan, which entombs contaminated materials on site. The company processed uranium for nuclear reactor fuel rods. Carter said the money in the escrow account will be distributed by state rules on tax monies. The Sallisaw City Commission Tuesday morning awarded a construction contract to Ross Construction of Muskogee for Sallisaw’s new Sports Complex. The contract was for $3.9 million. The dirt work is expected to begin within three to four weeks. City Manager Bill Baker said the goal is to have kids playing at the complex by next spring. 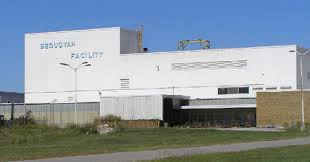 In the meantime, the city is calling for bids on a 12-inch water line to the sports complex. Baker said the water line must be in place to keep newly-laid sod alive. This meeting and the awarding of the sports complex bid was the last official act of outgoing Mayor Shannon Vann. Newly-elected Mayor Julie Ferguson will be sworn into office next month. A Sequoyah County detention officer. 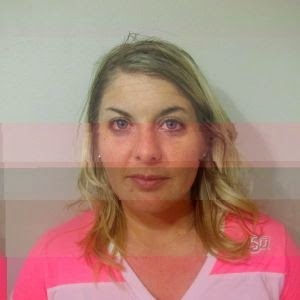 Amy Minor, was arrested by Sallisaw Police Saturday for assault and battery with a dangerous weapon. Sheriff Ron Lockhart said Monday that Minor has been suspended without pay from duties. She began her employment Oct. 16, 2013. She was off duty at the time of her arrest. For more local news visit us at www.kxmx.com. The ground search for a missing East Lake Hills man was called off Friday after about thirty search-and-rescue volunteers, firefighters and Sheriff's deputies searched a 500-acre area Thursday without result. Family members reported Judge Will, 39, went outside the residence north of Vian and east of Lake Tenkiller at about 1 a.m. Sunday to take a cell phone call. He has not been seen since. His father reported him missing Tuesday, Sheriff Ron Lockhart said. However, the authorities are not giving up. Steve Rutherford, Sequoyah County Emergency Manage- ment Director, was distributing flyers with Will's photo in the East Lake Hills area on Friday morning. Rutherford said, "At this point we are not going to continue the ground search. We are posting and putting out flyers. We covered a lot of ground yesterday." The Cherokee Nation honored several area veterans at the March Tribal meeting. Those honored with the Cherokee Medal of Patriotism were Paul Thomas Caskey, Sr. 89 of Adair, Arthur Carter 79 of Gore and Deborah Ann Crossland 61 of Sedona, Arizona. Caskey joined the U. S. Marine Corps in June 1943 and completed his basic training in San Diego. After basic and advanced training, he deployed to the South Pacific. He was stationed at the Solo- mon Islands, Mary Anna Islands and Volcanic Islands. When World War II ended, Caskey returned to the United States and received an honorable discharge in December 1945. Carter joined the U. S. Navy and completed his basic training in San Diego. After basic training, Car- ter was sent to Litchfield Park Fire Station in Phoenix for fire training. He was placed on the USS Hancock as a gunner's mate. Carter served on the carrier while off the coast of Korea during the Kor- ean Conflict. After 1955, Carter returned to the United States and served four additional years in the Naval Reserve. He received an honorable discharge in 1960. Crossland enlisted in the Women's Army Corps and completed basic training at Fort McClellan, Alabama. Crossland was awarded honor trainee of her platoon and selected to serve in the elite Women's Army Corps. After her honorable discharge in 1973, she immediately began serving in the 101st Army National Guard Band in Denver. Crossland served more than twenty years before retiring in 2003. To nominate a veteran who is a Cherokee Nation citizen call 918-453-5541 or 800-256-0671, exten- sion 5541. The Sallisaw man who led law enforcement agencies on several chases recently was charged March 6 in Sequoyah County District Court with kidnapping, grand larceny, domestic abuse and assault & battery. Fredrick Allan Stewart, 30, on February 24 and 25, allegedly got in an argument with his wife and slapped her. Then when she reported the abuse and Sallisaw Police attempted to stop him, he refused and drove away. Stewart led police on a chase through Sallisaw and south on Radio Station Road, where he wrecked his vehicle. The police report says Stewart abandoned his vehicle, then ran on foot into the woods, where police lost track of him. Early the next day, Sequoyah County deputies spotted Stewart driving an alleged stolen vehicle, a 1998 Ford pickup truck, reported stolen from the Sam Ed Bush Addition in Sallisaw. Deputies re- ported losing track of the suspect on county roads, but also noted he did not appear to be alone in the truck. Authorities sent out information on the suspect. He was spotted in Fort Smith by U. S. Marshals, the report reveals. Again, Stewart ran, this time on foot, but was chased down and arrested. Authorities discovered Stewart's wife was with him. She had texted to her friends that she had been kidnapped and asked for help. Sallisaw police, the Sequoyah County Sheriff's Office and other agencies assisted with Stewart's apprehension, according to the report. AARP Free Tax Aide will be held each Thursday from now until April 10, 2014 from 11 a.m. - 4 p.m. at First Christian Church - 706 N Wheeler St - Sallisaw, OK.
No appointment is necessary. For more information call 918-775-1214. 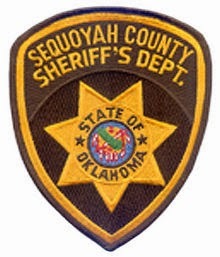 Sequoyah County Sheriff's Auction will be held Saturday, March 22 starting at 10 a.m. at the Sequo- yah County Fairgrounds located on East Redwood - Sallisaw, OK. Auction is sponsored by the Se- quoyah County Sheriff's Department and will include vehicles, trailers, lawn tractor, power tools and over two-hundred firearms. Those planning to bid on or purchase a firearm must have a background check. For more information or to pre-register call 918-775-1214. A Sallisaw man and his 16 year-old son were arrested Wednesday morning following a domestic dispute late Tuesday at Sequoyah Little Farms north of Sallisaw. 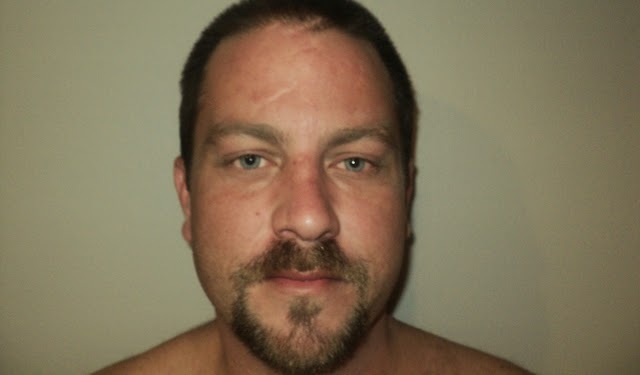 Thomas Jeremy Dale Condit, 37, was booked into the Sequoyah County jail on domestic violence charges, conspiracy to commit assault & battery and contributing to the delinquency of a minor. He was released early Wednesday afternoon on a $6,000 bond. His son was released to family mem- bers. Authorities said Condit and his wife separated Friday, March 14. Condit took his son to confront his wife late Tuesday. He stayed at the gate of the residence at Sequoyah Little Farms while the teen- ager went into the home and became involved in a altercation. The male in the home fired a warning shot into the floor. No one was shot during the altercation the investigator said. The incident is referred to as a domestic situation, not a home invasion as originally thought, the investigator said. A Muldrow woman pleaded not guilty to drug and firearms charges last week in Sequoyah County District Court in Sallisaw. Faith Ward, 34, was arrested by members of the Drug Task Force on February 21 and was charged March 5 with unlawful possession of a controlled drug with intent to distribute, possession of a firearm during commission of a felony and possession of a firearm after former conviction of a felony. 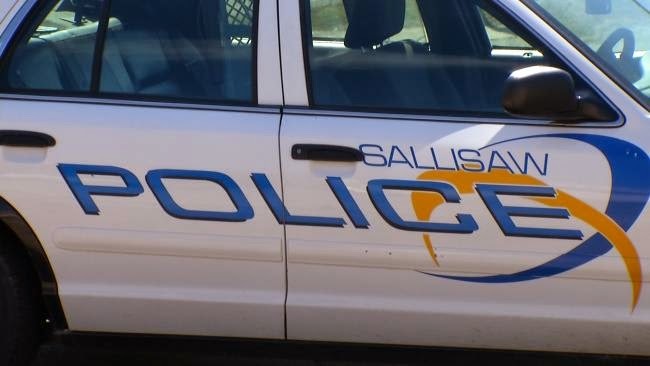 According to the police report, the Drug Task Force served a warrant on a Sallisaw residence and had to force entry into the home when no one answered their knock. Ward was one of those found in the home, along with substances that tested positive as methamphetamines that added up to 10 grams. They also reported finding a .38 caliber handgun and a .22 caliber rifle. In a shed behind the house, officers found what were believed to be fourteen 100-dollar counterfeit bills hanging on a hook. The suspect told officers she knew nothing about the bills. The search for a missing Webbers Falls man, Stephen Adams, was unsuccessful Friday, authorities reported. District Attorney Brian Keuster said tips led authorities to search a two-acre plot near Keys with ground penetrating radar, but the excavation turned up nothing. However, Keuster said coverage by the media has turned up some new leads which his office will follow up on. Keuster has set up a dedicated tip line for the Adams case. The number is 918-207- 6019. Tips may also be sent to coldcase.tips@da27.org. Adams disappeared on December 13, 2004. A student at Northeastern State University, Adams was in Tahlequah and called his girlfriend to say he was giving a ride to someone and was on his way to Webbers Falls. He was reportedly last seen at a Cookson Hills grocery. Neither Adams nor his pickup truck, a 1995 Chevrolet, were ever seen again. Keuster said his office will continue the invest- igation into what most believe is now a homicide. 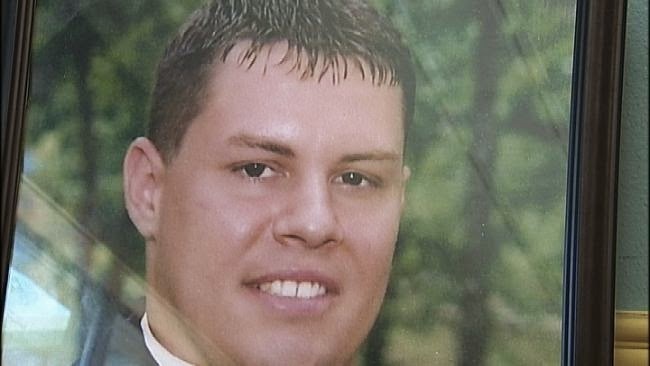 Adams, 26 at the time of his disappearance, was a 1997 graduate of Webbers Falls High School. 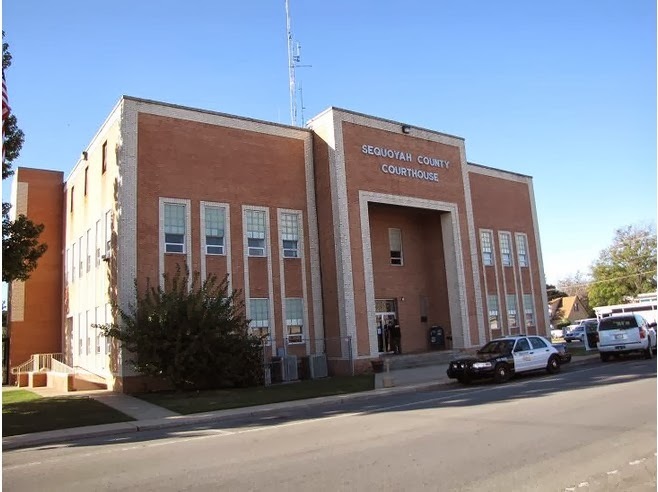 A Muldrow man was charged March 7 in Sequoyah County District Court with endeavoring to manufacture controlled dangerous substances, after former conviction of many related felonies. 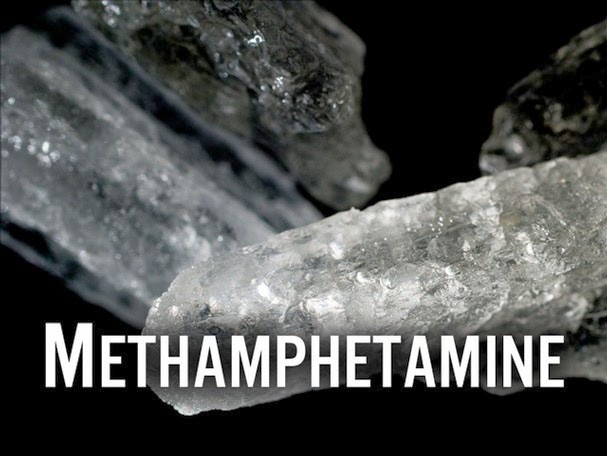 In his statement to investigators, James Dale Barrow, 37, confessed he has been taking metham- phetamines since the age of sixteen and manufactured methamphetamines using several different methods, including the shake-and-bake method. The District 2 Drug Task Force, the Sequoyah County Sheriff's Officer and the Muldrow Police De- partment worked together on the case, which included several outstanding warrants, at Barrow's home. Barrow was not at his Muldrow residence when the warrants were served on February 27. However, the authorities were given permission to search by other residents. The task force reported that during the search, a bag was found behind the house. The bag held several bottles allegedly used to manufacture methamphetamines and many other items used in making methamphetamines. The items were sent to the Oklahoma State Bureau of Investigation for testing. Officers reported finding twenty-three vessels used to manufacture methamphetamines. Barrow, informed of the investigation, surrendered at the Sheriff's office the next day, according to the report. He confessed he made the illegal drug. The charges also point out that the residence was 1,390 feet from the Muldrow Elementary School. 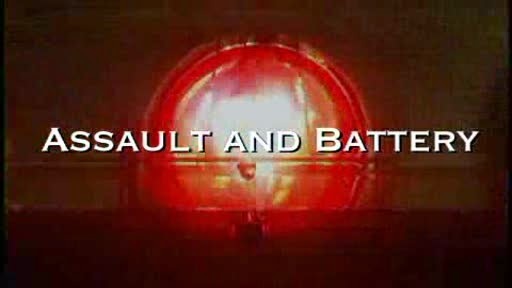 A 32 year-old Sallisaw man was charged last week in Sequoyah County District Court with assault and battery. Shawn Michael Stephens is accused of beating another man so badly that the victim had an "orbital fracture," according to the police report. Stephens is free on a $4,000 bond. 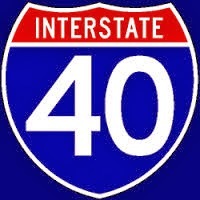 One hundred pounds of pot was seized by the Oklahoma Highway Patrol recently after they stopped a motor home on Interstate 40. John Ferranti, 56 of Redwood Valley, California, faces a charge of trafficking in illegal drugs. The charge was filed March 7 in Sequoyah County District Court. According to the OHP report, Ferranti, driving a motor home, was stopped by an OHP trooper after the motor home went outside the fog line alongside the highway. Ferranti gave the trooper permis- sion to search the vehicle. The trooper then uncovered ninety-seven bundles of a green leafy sub- stance that appeared to be marijuana. Ferranti will be arraigned on the charge March 19 in district court. 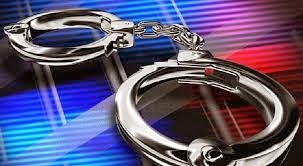 A 28 year-old Vian man faces two counts of assault and battery upon a police officer, along with other charges, when he fought being arrested February 22. Sampson Bennett was charged March 5 in Sequoyah County District Court with the two assaults, possession of a controlled dangerous substance and unlawful possession of a controlled drug with intent to distribute. His bond was set at $33,000. His case was set for March 26 on the district court's disposition docket. According to the police report, Bennett was stopped for an expired tag on his vehicle. He was cuffed and placed in the patrol car. However, when officers were searching his vehicle, Bennett got out of the patrol car and resisted further attempts to keep him under arrest. The officers reported he kicked one officer in the chest with his feet. The report also alleges Bennett had four bags in his vehicle which tested positive for methampheta- mines. Outdoor burning is highly discouraged, officials with the State Forestry Division said. From March 10 through 12, five wildfires were reported in Sequoyah County with one shed being damaged. 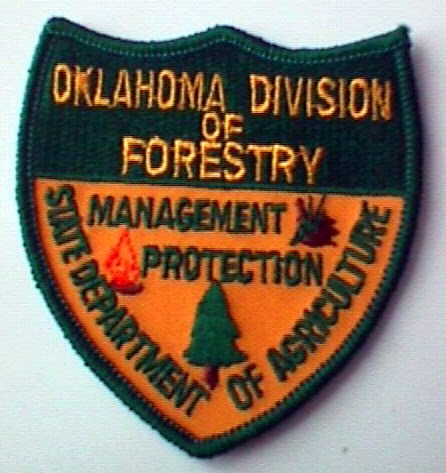 Roger Wilhite, Forest Ranger and Crew Chief with the Forestry Office in Sallisaw, said the county is not under a burn ban or Red Flag Warning. Even though rain over the weekend may lessen the dan- ger of wildfire, residents are reminded that dead plant material may still burn. Ten pounds of marijuana were confiscated Monday as a result of an investigation into the allegation that the pot was being brought into Sequoyah County from Mexico and sold locally. Two persons of interest, Richard Felice and Matt Landa, were identified in a press release issued Tuesday by the Sequoyah County Sheriff's Office. Sheriff Ron Lockhart said the investigation was undertaken by the Sheriff's Department, the Drug Task Force and the Muldrow Police Department. The officers served search warrants at a home on U. S. Hwy 64 east of Sallisaw near Gans and at a Muldrow residence. No one was home at either home, the press release states. 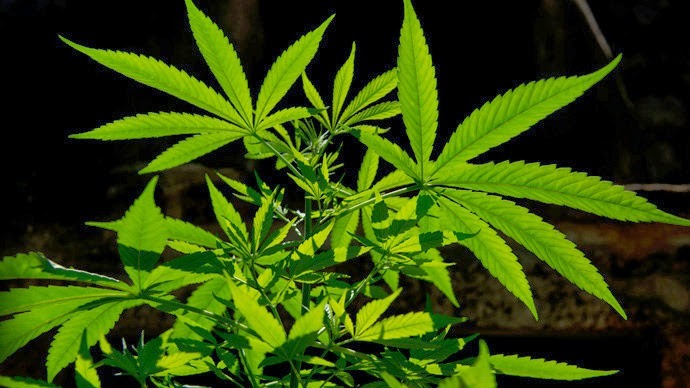 The press release reported that information obtained during the month-long investigation was that marijuana was being brought into the country from Mexico for local users and distributors. Lockhart and Muldrow Police Chief George Lawson said they agreed that when agencies work to- gether more can be done to combat the narcotics program in Eastern Oklahoma. The Sequoyah County Sheriff's Office Dispatch has been relocated to the Sheriff's office. It was moved from the County Courthouse in Sallisaw. Dispatcher JaNelle Sherley of Sallisaw was getting ready for the updated service Monday with Marcus Griffis. Griffis is with the state and was helping set up the OLETS, or Oklahoma Law Enforcement Telecommunications System. Sheriff Ron Lockhart said the new system "is the Cadillac of dispatch systems." Sherley is one of seven dispatchers for the Sheriff's office. She was very happy about the new system and new loca- tion. Sheriff Ron Lockhart said Thursday morning that the arrest of two Okay men has cleared up nu- merous thefts in several counties. Dale Lee Compton, 21 and Robert Ryan Ford, 21 were arrested Tuesday by sheriff's deputies when suspicious activity was reported near the Marble City School. Deputies chased the two men, who were driving a pickup, for two miles. After stopping the pair, deputies found four air conditioning units taken from the school and an electric keyboard stolen form a church in Adair County. Lockhart said the investigation has cleared six thefts from churches and five homes in Adair, Chero- kee and Sequoyah Counties. Damages at the Marble City School were estimated at $20,000. Both men were booked into the Sequoyah County Detention Center in Sallisaw. 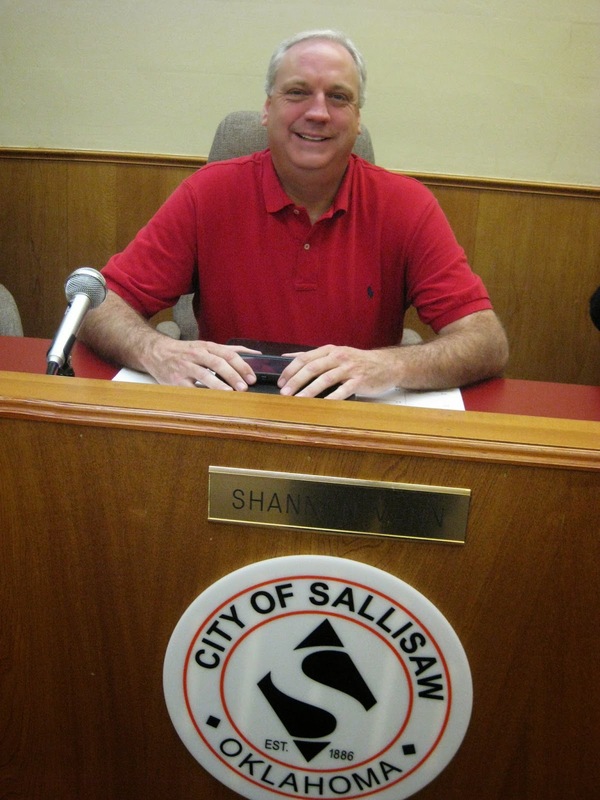 Outgoing Sallisaw Mayor Shannon Vann was honored at the city meeting Monday. It was the last one he will oversee. 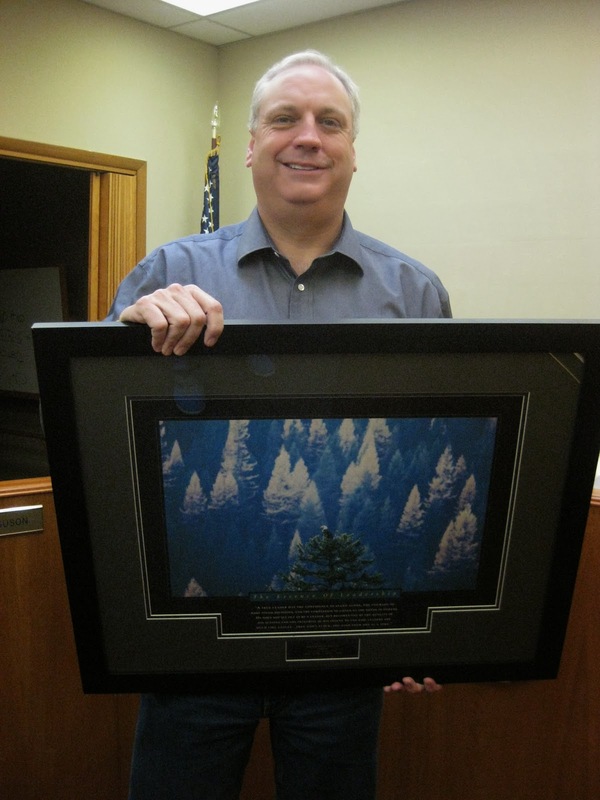 City employees presented him with a pocket watch and the city presented him with a large framed poster, defining his leadership. City Manage Bill Baker said Vann is "a class act." New Mayor Julie Ferguson will be sworn in office on April 14. Vann told the standing-room-only crowd, "I'm proud of what we have accomplished." For more stories visit us at www.kxmx.com. On Tuesday morning, a Sequoyah County Sheriff's office deputy responded to the area of Marble City School after getting a suspicious vehicle call. When the deputy arrived at the school, he observed a silver pickup fleeing the area. The deputy also noticed several large AC heater units in the rear of the pickup. 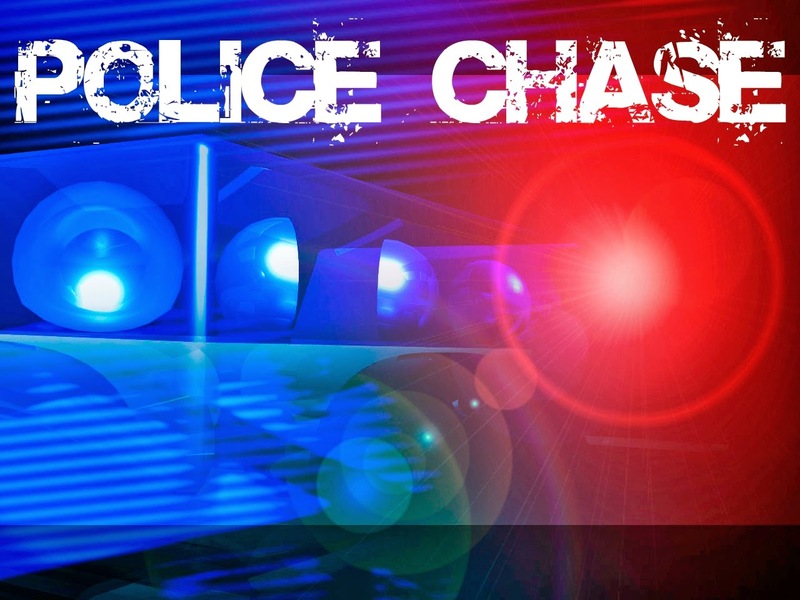 After a short pursuit, the vehicle stopped and two subjects, Dylan Compton 21 and Robert Ford, also 21, both from Okay, Oklahoma were taken into custody, according to Sequoyah County Sheriff Ron Lockhart. It was learned during the stop that the four Rheem AC units were possibly stolen from Marble City School. After checking, it was confirmed that the AC units were stolen for the school and a fifth one had been cut as if they were going to steal it. Also, in the bed of the truck, deputies located a large electric organ, which was later discovered to have been stolen from the Cherokee Children Mission Church in Adair County. Authorities had Adair County check the Cherokee Children Mission Church and it was discovered that the front door had been kicked in. The two suspects have been charged with numerous thefts and, according to Lockhart, they are foll- owing up on other thefts in the surrounding counties. In addition to bidding farewell to outgoing Mayor Shannon Vann, the Sallisaw City Commission took steps for city improvements at their regular meeting Monday. The Commission approved a lease agreement with the Sallisaw Municipal Authority between the city and the authority for the new sports complex on the east side of the city. While the city owns the land, the authority must lease the property in order to build the complex. City Manager Bill Baker told the commission that a pre-bid conference was held with local contractors recently and many a- ttended. "We had a room full of contractors," Baker told the commissioners. "We hope to get some good low bids." The power to the site will be installed by the city and, with approval of county commissioners, will use the county right-of-way. The electricity should be installed in about two weeks. The commission also approved a new contract for internet services for DiamondNet, which is expec- ted to save the city $109,000 a year. They also approved the purchase of a transformer for the new middle school. The school district will reimburse the city for that purchase. Bids were accepted and opened for new lights along U. S. Hwy 64 and Kerr Blvd, a mower and for a waterline relocation project at Interstate 40 & U. S. Hwy 64. The bids were turned over to the staff for review and recommendation. Erica Casey led the tenth ranked Vian Lady Wolverines with 21 points as the Lady Wolverines fell to Tahlequah Sequoyah 58-53 in the Class 3A Area Consolation Championship game at the Checotah Event Center Saturday night. Nese Walters added 14 points, including a 3-pointer late in regulation to tie the game up and send it to overtime, tied at 49. In the extra period, Sequoyah outscored Vian 9-4. Congratulations goes out to Coach Jordan and the ladies on their terrific season finishing 22 and 4, with a Class 3A District 3 Championship. 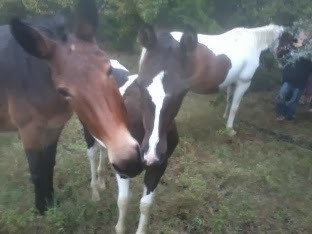 An investigation is being conducted by the Sequoyah County Sheriff's office regarding a stolen mule. A Sequoyah County resident said his mule was stolen from the property he is leasing and was found tied to a tree on another property, dead. Ron Lockhart, Sequoyah County Sheriff, said the owner of the land where the mule was discovered gave authorities his statement. However, he is not the one who stole the animal. Authorities do have a person of interest, but do not have enough evidence to charge him, according to George Borman with the Sheriff's office. He is identified as Brian Walker. Currently Walker is in the Sequoyah County Detention Center on charges of carrying firearms after a conviction, possession of controlled substance, possession of stolen property, evading an officer and more. He is being held on a $62,000 bond. The Sequoyah County Sheriff's office said Walker also is under investigation for stealing a horse in another town. 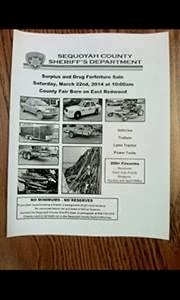 Sheriff Ron Lockhart announced a surplus drug and forfeiture sale will be held March 22 at the Se- quoyah County Fairgrounds in Sallisaw. The auction will begin at 10 a.m.
Lockhart said the auction will include vehicles, trailers, a lawn tractor, power tools and over two hun- dred firearms which included revolvers, semi-automatic pistols, shotguns and hunting/sport rifles. Those planning on purchasing a firearm must have a background check done. No convicted felons can purchase or bid on firearms. Contact the Sequoyah County Sheriff's Department at 918-775-1214 to pre-register. Checks at the auction must be made out to the Sequoyah County District Attorney. Lockhart said the purpose of the sale was to help clean out the department's evidence room. As part of the True Grit Celebration, Stanley Tubbs Memorial Library in Sallisaw will host a virtual visit to the Fort Smith National Historic Site. This will include a conversation with the Honorable Judge Parker at 12:30 p.m. March 12 in the library meeting room. Those attending will have an up-close virtual tour of the courtroom and an interactive visit with the Honorable Judge Parker, a role re-enacted by retired Honorable Judge Floyd Robison. "True Grit", the novel by Charles Portis, tell the story of 14 year-old Mattie Ross who seeks justice after her father's murder in Fort Smith. With her on this epic journey is Rooster Cogburn, U. S. Dis- trict Court Deputy Marshall, which connects the novel with Judge Parker, his courthouse and authority over Indian Territory. For twenty-one years of judicial service in Fort Smith, Judge Parker stood for equality of justice. 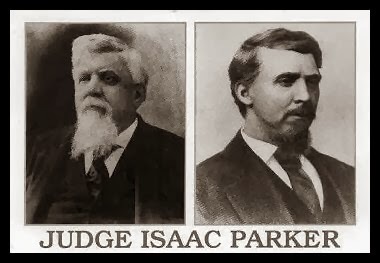 On his last day of jurisdiction over Indian Territory, September 1, 1896, Judge Parker said in an interview, "I have ever had the single aim of justice in view. No judge who is influenced by any other considera- tion is fit for the bench. 'Do equal and exact justice' is my motto and I have often said to the grand jury, 'permit no innocent man to be punished, but let no guilty man escape.' "
Librarian Bethia Owens said, "This presentation is part of the regular Book Luncheon series that ex- amines Oklahoma History, Literature and Culture." Box lunches will be served at noon. Call 918-775-4481 for reservations. A bench warrant was issued Wednesday for a Vian man who failed to appear for his arraignment on drug charges in Sequoyah District Court in Sallisaw. Billy Rae Chambers, 42, was arrested February 21 in an undercover controlled buy by the Drug Task Force and the Sequoyah County Sheriff's Office. According to the charges filed last week in district court, Chambers was stopped in Sallisaw and a search of his vehicle uncovered a crystal substance which field-tested positive for methamphetamines. Charges against Chambers, filed last week, are: unlawful possession of a controlled drug with intent to distribute and unlawful possession of drug paraphernalia. Chambers' initial arraignment in district court was February 26. An embezzlement charge was filed last week against a 20 year-old Sallisaw women, accusing her of fraudulent refunds at a local grocery store. The charge accuses Taren Nicole Rose of falsely refunding $2,269.65 between the months of May and August 2013 and pocketing the money herself. An arrest warrant was filed with the charge. The Vian Lady Wolverines are still in the hunt for a Class 3A state championship. Thursday the Wolverines defeated Wilburton 47-32 in the opening round of the Class 3A Area Tournament. Vian will now play Friday March 7 at 1:30 p.m. against the winner of the Metro Christian/Holdenville game. Authorities with the Sequoyah County Sheriff's office had to shoot out the tire on a vehicle to catch two persons accused of vehicle theft. Charles were filed against the two, Brian Lee Walker, 40 of Porum and Casey Gann, 25 of Gore, last week in Sequoyah County District Court in Sallisaw. According to the officers' report, an undercover sting was set up to capture those who allegedly stole two vehicles, a black Dodge Magnum and a Dodge pickup truck. However, when officers attempted to stop the man and woman in the parking lot during the sting, the male driver began to back the Mag- num in the direction of the officers. After ordering the driver to stop, one of the officers shot at a tire on the car. The driver still continued backward until the officer shot the tire again. The car ended up in a ditch in front of the diner. The officers reported both suspects resisted arrest and had to be subdued. Both ere booked in the county jail on February 17. The charges filed against Walker are: knowingly concealing stolen property, possession of a firearm during commission of a felon (a sawed-off shotgun found in the car), attempting to elude a police officer, resisting an officer and driving with a suspended or revoked license. Charges against Gann are: knowingly concealing stolen property, possession of a firearm during commission of a felony and resisting an officer. According to the report, the suspects did not include the pickup truck in the undercover buy. The Muldrow School Bond election that was held yesterday failed to pass. Although there were 263 Yes votes versus 210 No votes, a 60% majority was needed, but was not reached. These vote totals will not be official until certified by the Election Board on Friday. Christian Mayberry from Muldrow is recovering from an ATV accident that took place last year. He suffered severe head injuries. Mayberry celebrated his seventeenth birthday on Tuesday February 25. He was scheduled to be moved to Ft. Smith's Methodist Health & Rehab on the 26th from the Kaiser Rehabilitation Center at Hillcrest Medical Center in Tulsa. 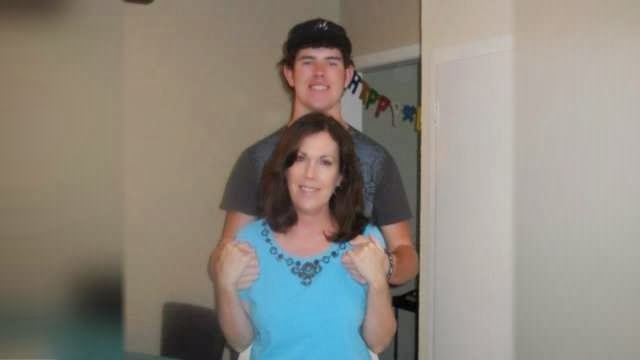 However, according to his mother Kim Mayberry, doctors at Kaiser feel he needs at least three more weeks of intensive therapy. She said services have been offered pro bono by the Ft. Smith facility. The accident occurred on September 1, 2013 about five miles south of Muldrow on Sequoyah County Rd 4750. The ATV Mayberry was driving left the road, crashing into the ditch. He was ejected appro- ximately twelve feet. The family has had a lot to celebrate recently, his mother said. Not only his birthday, but how well he's doing. He's expected by the doctors, within a few weeks, to be able to eat without a feeding tube. He can whisper and his voice will sometimes come through. You can go to the Pray for Mayberry Facebook page for updates on Christian. Also, there is a tip line available for anyone with any information on the accident. That number is 918-822-2901. Voters in the Muldrow School District will be asked March 4 to approve a $4.35 million bond issue to build safe rooms at all three Muldrow Schools - elementary, middle school and high school. If approved, the bond would add about $21 to $100 paid in property tax. It would be paid over a 12 year period at an interest rate not to exceed 10 percent or lower. School Superintendent Ron Flanagan said many parents have asked that the schools provide a safe haven for their students during bad weather. 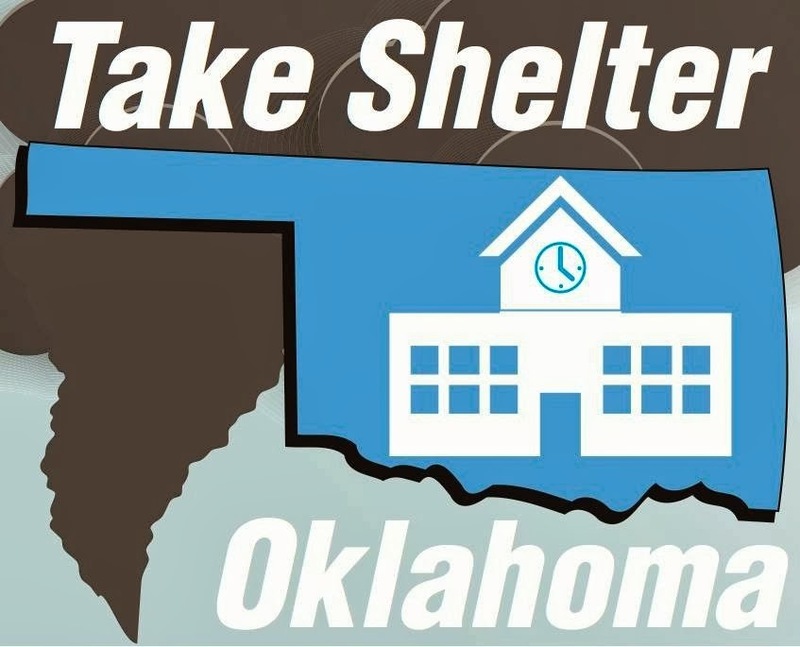 "And of course the rooms would be open to the public during tornado weather," Flanagan said. He said the rooms would be large enough for all the students and staff at each school. 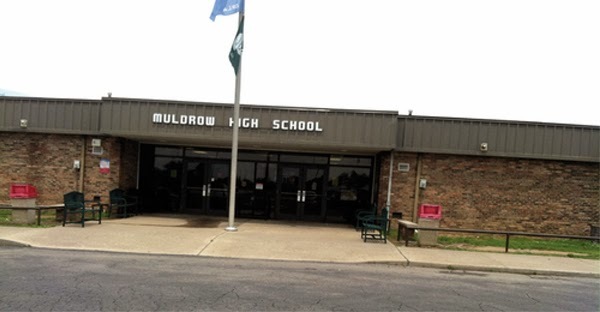 Muldrow Schools have an enrollment of 1,560. Early voting on the proposition will be held from 8 a.m. to 6 p.m. Thursday and Friday at the Sequo- yah County Election Board at 110 E. Creek in Sallisaw. Polls will be open from 7 a.m. to 7 p.m. March 4. The Cherokee Nation is raising its minimum wage from $9 to $9.50 an hour, Principal Chief Bill John Baker announced Tuesday. Baker signed an executive order last week raising the minimum wage starting in October for those employees on the job a year or more. For those with less than one year of service, the upgrade will be phased in over fiscal year 2015. The federal minimum wage is currently $7.25 per hour. President Barack Obama has proposed raising the nation's minimum wage to $10.10. According to Cherokee Nation reports, the tribe employs 1,046 persons in Sequoyah County with over $36.6 million in salaries, 908 in Adair County with almost $33.7 million in salaries and 4,239 in Chero- kee County where the tribe's headquarters are located with over $154 million in salaries. 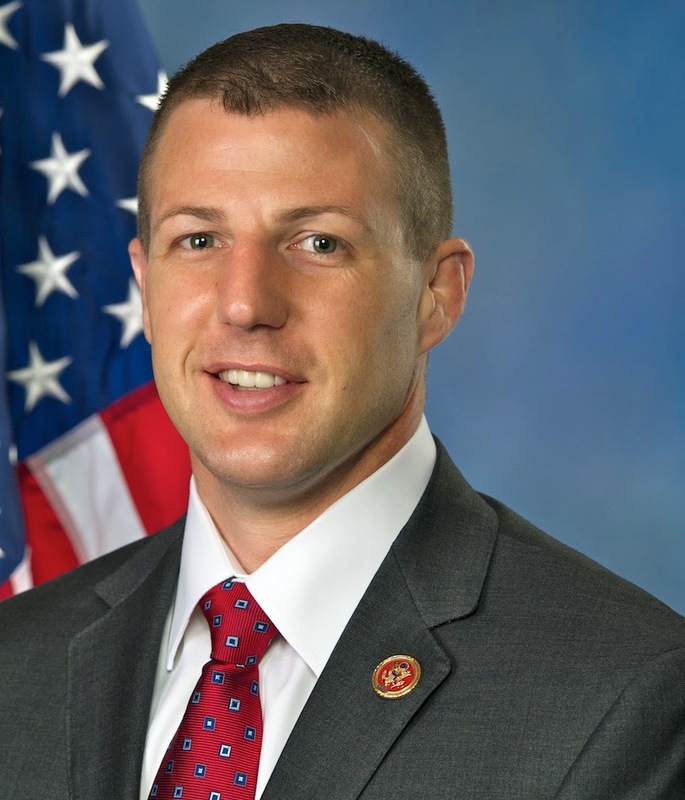 Congressman Markwayne Mullin (R-OK) announced he has been appointed to the House Natural Resources Committee's Energy and Mineral Resources Subcommittee. Mullin said "Our district has both mining and energy production. Also, part of the southern leg of the Keystone XL Pipeline runs through our district. The 2nd District will benefit from my work on the committee." On another issue, the Office of Congressional Ethics made a referral to the House Ethics Committee about Mullin. 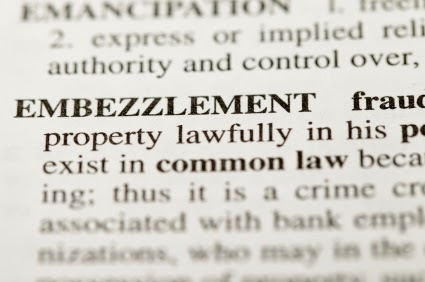 However, the subject of the referral has not been disclosed. The referral was announced earlier this month. Ashley Kehl, Mullin's communications director, said Tuesday "Congressman Mullin is cooperating with the House Ethics Committee and believes he is in full compliance with all ethics rules." The Office of Congressional Ethics is an outside organization that can refer cases to the House Ethics Committee.